So, a couple of days back, I asked you guys to give me your top picks for new characters in a new Super Smash Bros. Game. And boy, did you guys deliver. With over 100 comments on the article, and too many submissions to count, I have formulated the top 10 characters you guys want in SSB(well, technically 11, because there was a tie). So, are you wondering if your submission made the lineup? 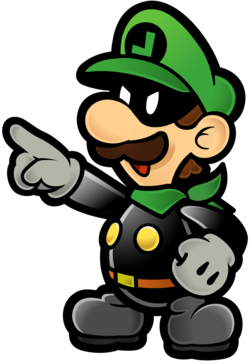 We had a tie for our number 10 spot, so let’s start off by talking about Mr. L. Mr. L is an alternate, brainwashed version of Luigi from Super Paper Mario. He serves the game’s main antagonist, Count Bleck, in his quest to destroy all dimensions. Some people voted for Mr. L as an independent Smash Bros. character, while others suggested that he be an alternate costume, or a transformation similar to Zelda and Shiek. 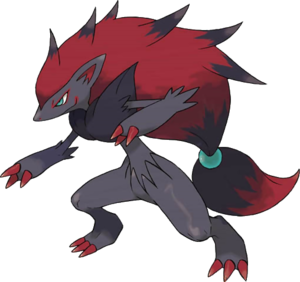 The other number 10 contender is Zoroark, who was one of the first Pokemon announced for the newest Pokemon games, essentially making him an unofficial mascot of the games. He is the Illusion Fox Pokemon, and can deceive others by appearing to be what he is not. Perfect for Smash Bros.
Coming in at number 9 is our first character from a third-party developer. Bomberman is the protagonist of all of the Bomberman video games, which are developed by Hudson Soft. He is able to generate bombs in his hands and throw them, and would fit right in with the Smash Bros. crew. Coming in at number 8 is everyone’s favorite flattened plumber: Paper Mario. 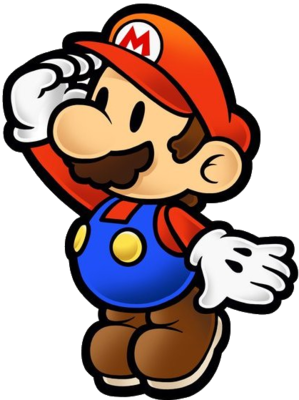 Paper Mario is very similar to the original Mario, but he has his own unique abilities that set him apart as an individual character(although some people wanted to see him as an alternate Mario costume). Coming in at number 7 is Mewtwo, who players will remember from his time in Melee. Although most of his data can be found in Brawl, he was scrapped from the lineup. Apparently you guys here at ZI want this powerful Psychic Pokemon back, eh? Coming in at number 6 on our countdown is a redesigned version of the current Pokemon Trainer character: the Unova Pokemon Trainer. This character would be updated with the new trainer design from BW, as well as the new starter Pokemon. Who knows, maybe they’ll even let you choose if you’re a boy or a girl. Coming in at number 5 on our countdown is this duo of video game stars from Rare Studios: Banjo and Kazooie. Not sure if you guys are wanting these guys as separate characters, or an Ice Climbers-type character. But either way, these classics made it on to our countdown. Worried that this countdown isn’t going to have any Zelda characters in it? Well fear no longer, because the next few are from Zelda. 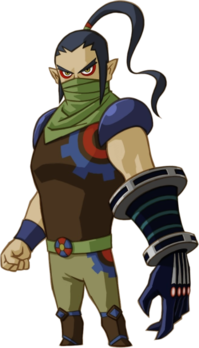 This guy, number 4 on our countdown, is Byrne from Spirit Tracks. With his powerful gauntlet on his left hand, he is more than a match for his potential SSB competitors. Coming in at number 3 is Midna from Twilight Princess. Among her wanted abilities were the ability to transform Link into Wolf Link and a Midna/Fused Shadows pairing. Both would definitely make her Smash Bros. material. 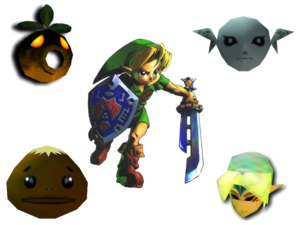 Link(without masks) has appeared in every Super Smash Bros. game. The Most Wanted Character by ZeldaInformer for the next Super Smash Bros. game is Mega Man. 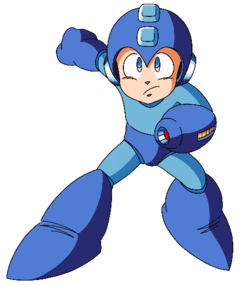 Mega Man is a character from Capcom that has appeared in multiple forms in over 100 different game. He can employ tactics similar to Samus’s cannon and Kirby’s swallowing ability, making him different and versatile. He is definitely a welcome addition to SSB. Well, there you have it folks. Those are the top eleven most wanted characters for Super Smash Bros. as selected by you, the readers. Read on below for some honorable mentions and details on the next Most Wanted. This was a neat little entry sent in by someone on our Forums. 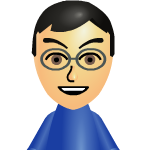 Miis could be OK in Smash Bros. as playable characters. What would be even better would be an Assist Trophy. When activated, all your Miis attack. Or something like that. I just thought that this was worth a mention. Another honorable mention is this..
guy. You guys wanted him. He actually got quite a few votes, but not enough. At least he was honorable enough to be mentioned. Well, that’s it for this post guys. Just one last thing. For our next Most Wanted article, the topic will be “Most Wanted: Disappearing Characters”. As in, what characters that were in Brawl do you want to disappear? Leave your responses below, and be looking for an article about it probably after E3.